A historic icon rooted in Duluth’s rich history—and optimistic future—Sacred Heart Music Center showcases the music of regional, national and international artists. 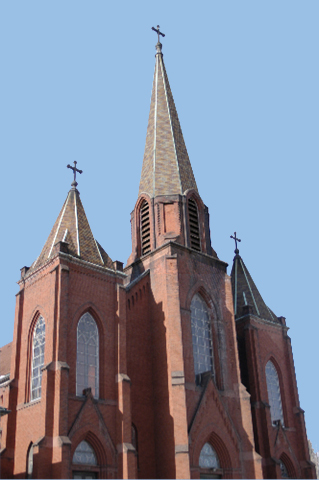 The 400-seat venue was built in 1896 as the Sacred Heart Cathedral, with its gothic beauty and renowned acoustics. One of just three magnificent neo-Gothic churches with three towers that are unique to Northern Minnesota, the venue is available for use by musicians, corporations and schools, for performances, meeting space, or recording in its state-of-the-art recording studio. A legendary Duluth landmark, Sacred Heart remains dedicated to offering outreach to at-risk youth, educational programming, and serving the Hillside community in which it resides. From performances to weddings and receptions, to meetings and arts education events, Sacred Heart is the essence of music and community in Northern Minnesota.